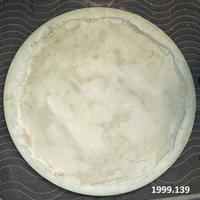 Round plaster blank used for creating portrait reliefs. 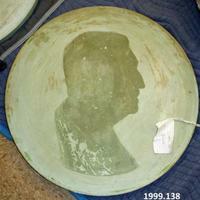 Round portrait relief mold blank. 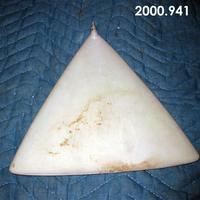 There is an image still visible of William John Stapleton on the blank. The image remains due to the oil left behind from the plastecine.